You might remember that the Superior Court on Feb. 12, 2016 specifically told the City of Ferndale they must stop using the 10-day notice as a hammer to punish the Rojszas. It is clear the City of Ferndale has been using this tactic since 2010. What a crooked place Ferndale is! 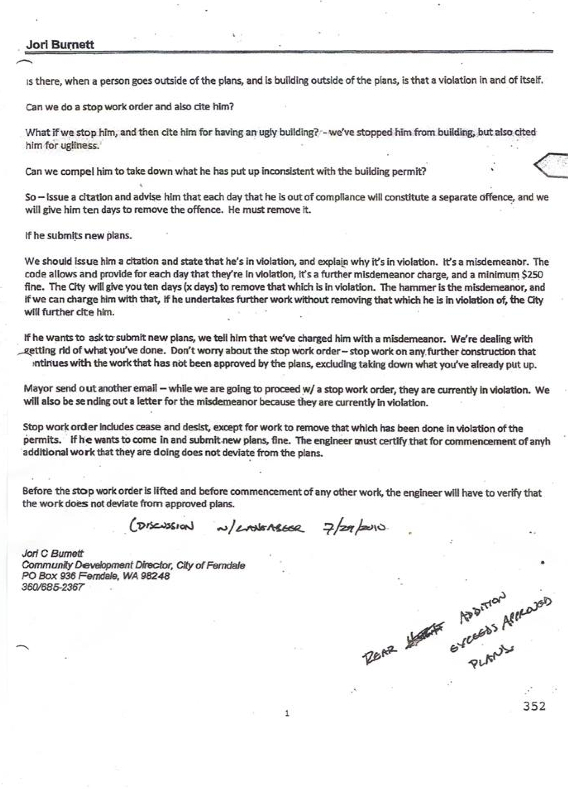 This entry was posted in Commentary, Facebook Post, Information and tagged 10 Day Notice, Artur Rojsza, Building Permit, Cease and Desist, City of Ferndale, Clocktower Building, Community Development Director, Ferndale, Jori Burnett, Margaret Rojsza, Richard Langabeer, Stop Work Order. Bookmark the permalink.